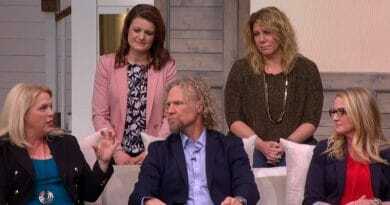 Sister Wives star Meri Brown demonstrates how her infectious smile and a bottle of alcohol was all she needed to lure in two handsome men. The first wife of Kody Brown recently posted a pic online that caught the attention of her fans. 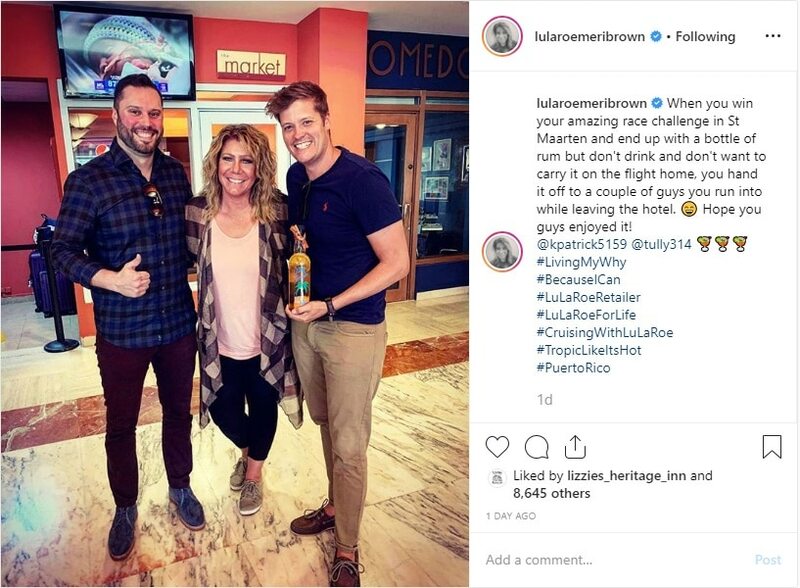 Meri Brown stood between two happy-looking guys after handing over a gift of rum on her way out of her hotel. It seems the cruise is over and before Meri Brown caught her flight home she had one last thing to do. It was this last task that put a smile on the faces of two unknown men. These are the two guys who posed for a photo with this Sister Wives fan favorite Meri. Apparently, Meri won a contest while in St Maarten. And she claimed a bottle of fine rum as her prize. But this Sister Wives spouse doesn’t drink. So, instead of taking the booze home with her, she handed it off to two guys. It appears this picture is the aftermath of this gifted bottle of hooch. Never Ending Sea of Men? The first woman to marry Kody Brown went on this island-hopping cruise for business. While she joined her Lularoe co-workers for this trip, it appears she had quite a lot of fun on her voyage. 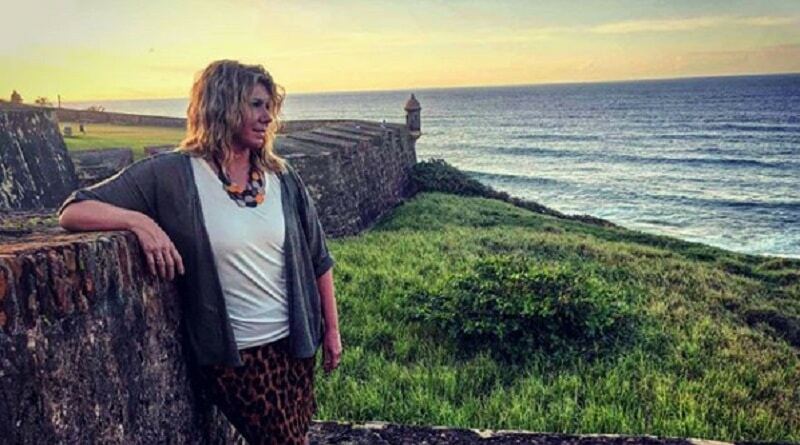 Fans of Meri Brown cheered her on as she frequently posted pictures with men during her trip. Some reports suggest Meri may even be dating. However, it’s probably safe to say that Meri didn’t suddenly start serial dating on this trip. Instead, she’s posting pics with travel companions for the typical tourist activities along the way. But each snap got tongues wagging and this latest one is no different. Fans love seeing Kody Brown’s first spouse happy – and without him. Still, the main message these pictures convey is that Meri is having fun. The constant smile on her face was evidence enough for her fans. It looks like shee needed this vacation after a season of Sister Wives that often left her in tears. Her vacation photos are in sharp contrast to Meri’s often guarded demeanor during the TLC reality show. 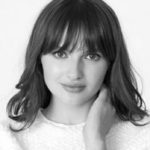 It wasn’t hard for the viewers to spot the seemingly unequal treatment the Brown first wife got this season. Kody Brown and his other wives appeared to go out of their way at times to make Meri feel unwelcome. Especially in one scene when Christine flat out said she’s uncomfortable around Meri. Now it seems she might only come around to tape the TLC how. 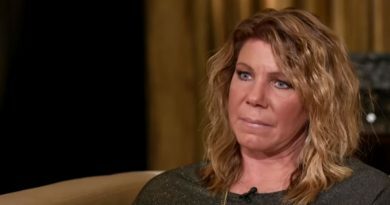 So, these cruise pics may show the new side of Meri Brown as an independent woman, free of Kody Brown. But no doubt, there will be no official word until the season ends — and until a decision is reached on whether the TLC show is over and done or renewed. Check back with Soap Dirt again for the latest scoop on Sister Wives.